As many as 5,20,000 foreigners visited Nepal in the first half of this year of which 96, 372 were Indians. Nepal has also seen an overall rise in the number of foreign tourists visiting the country. 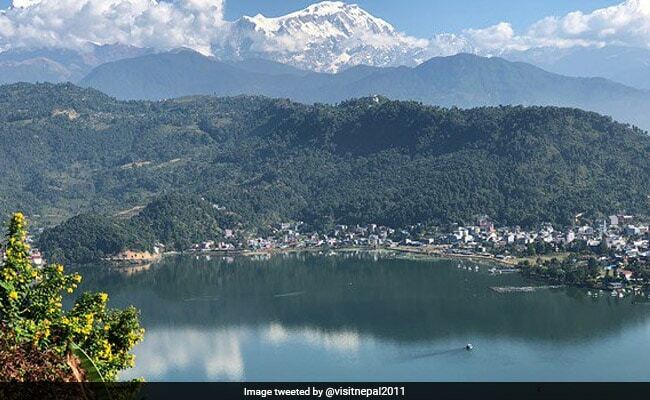 Nearly one lakh Indian tourists were among 5,20,000 foreigners who visited Nepal in the first six months of 2018, according to the Himalayan nation's Department of Immigration. "The latest data shows that 96,372 Indian tourists visited Nepal in the period while the number of Chinese was 71,379. The number of tourists from the US was 43,816, while the number Japanese tourists stood at 13, 851," the Himalayan Times reported, citing the Department of Immigration figure. As many as 5,20,000 foreigners visited Nepal in the first half of this year, marking a 13 per cent rise in tourist arrivals over the same duration last year. A total of 4,60,304 foreign tourists had visited the country during the first six months last year. Nepal also hosted tourists from South Asia and European countries, including Austria, Belgium, Denmark, France, Germany, Israel, Italy, Netherlands, Poland, Sweden, among others. Nepal Tourism Board (NTB) officials said the rise in the number of foreigners even during off season was good news for tourism entrepreneurs. "The contribution of the private sector to the country's tourism cannot be ignored," NTB Chief Executive Officer Deepak Raj Joshi said. In 2017, Indians had accounted for the maximum 17.1 per cent of the total tourist arrival figures in Nepal, ahead of Chinese (11.1 per cent) and Americans (8.44 per cent), according to the Economic Survey released earlier this year. Lumbini, the birthplace of Lord Buddha and a UNESCO world heritage site, was the most visited tourist destination in Nepal in 2017. "Altogether 1.5 million tourists (domestic and foreign) had visited Lumbini in 2017, which was an increase of 21 per cent compared to 2016," the survey stated.